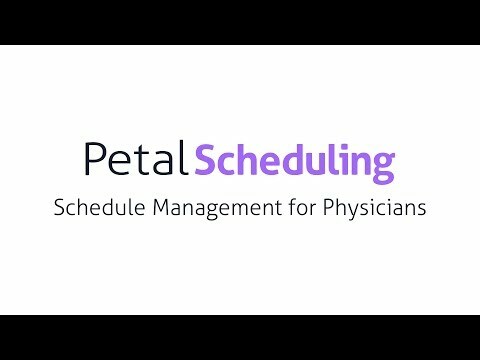 Petal Booking integrates with many electronic medical records and allows for the synchronization of different patient appointment booking channels, the automation of reminders, online appointment bookings and a self-service check-in kiosk. In addition, analytics dashboards that measure and optimize clinic appointment management are available. Patients can book an appointment on the medical clinic’s website, which maximizes access to physician availabilities. The solution prioritizes the link between the patient and the family physician when assigning an appointment, even in the case of walk-in consultation request. Automated appointment reminders this time-consuming : reminders and confirmation requests. It also reduces financial losses linked to patient no-shows. A self-service check-un kiosk allows patients to quickly and autonomously announce their arrival at the medical clinic. It frees up administrative staff and improves the patient’s experience by reducing the line at the reception. Finally, analytics dashboards and statistics reports act as key performance indicators allowing medical clinics to optimize their operations. Software by Petal Solutions Inc. Contact Petal Solutions for detailed pricing. Below are some frequently asked questions for Petal Booking (PetalMD). Q. What type of pricing plans does Petal Booking (PetalMD) offer? Q. Who are the typical users of Petal Booking (PetalMD)? Q. What languages does Petal Booking (PetalMD) support? Q. Does Petal Booking (PetalMD) support mobile devices? Q. Does Petal Booking (PetalMD) offer an API? No, Petal Booking (PetalMD) does not have an API available. Q. What other apps does Petal Booking (PetalMD) integrate with? Q. What level of support does Petal Booking (PetalMD) offer? Q. Which apps is Petal Booking (PetalMD) compared to most often?